It was slightly surreal but extremely pleasing to be contacted by the BBC over the weekend requesting my services as a Michael Buerk “expert”. 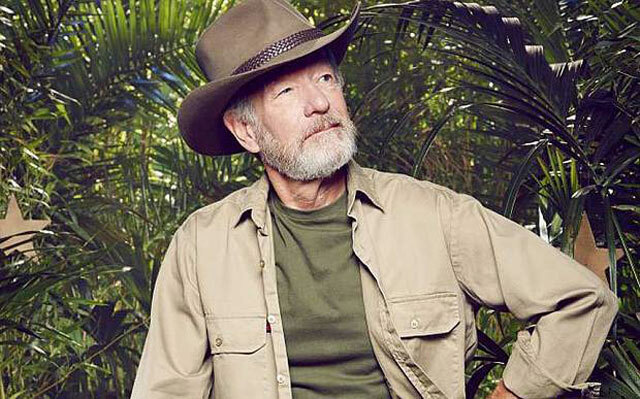 As you may be aware, I once co-wrote a musical about him and played him on stage, and Ol’ Buerky is now in the jungle, taking part in the reality television show I’m A Celebrity Get Me Out Of Here, winning over a whole host of new fans. After all, the stalwart BBC legend has traded his comfort zone of high brow broadcasting (and narrating Pinapple Dance Studios…) for his usual rivals: populist ITV programming. Some Twitter comments suggest Buerky will crack under the pressure of the show. Perhaps people think of him as a clean-cut broadcaster, employed with a cushy number to read the news in a comfortable studio. That’s only one facet of Buerk, who, as a journalist, has reported from war zones, dodged bullets and riled the Apartheid regime in South Africa. He’s truly a remarkable and brave man, who is not going to see his spirits dampened by an absence of cashew nuts from his diet or the irritating showmanship of some appalling self-publicists. The BBC (who contacted Pip, as he oversaw publicity for Buerk! The Newsical), suggested they wanted a slightly quirky angle on Michael Buerk, and presumably (I didn’t enquire) found out about the show through researchers spotting it on Buerk’s Wikipedia entry. I was flattered and thrilled to be asked, and spent Saturday nursing a hangover and watching the episodes of I’m A Celebrity that I’d missed. Favourite bits: Buerk taking a rap lesson from Tinchy Stryder, Buerk surprising Jimmy Bullard and laughing (and sharing the same stricken seal pup laugh with Vicki “Allo Allo” Michelle); and Buerk opening up about his childhood and his parents. Have we seen a new side of Buerk? I’d say we have. He’s never been asked to show his real self before, but always presented the professional persona of a politically neutral broadcaster. That’s probably why we’ve never heard him laugh before. That would seem inappropriate reading the nine o’clock news, or reporting near-tragic events in 999. Honestly, after 2013, I never expected to talk about Buerk! The Newsical again. My co-writer and director Tom has sired another child and Mark “Bum Note” Kingston, one of the composers and musicians, has moved to New York. Those life-changing events seemed enough to make a Buerk! revival in its original format an exceedingly remote contingency. However, now that Buerk is, as we have been claiming all along, the nation’s hero, it would be a fitting tribute to capitalise on his new-found megastardom by resurrecting the musical. All we’d need is a new production company to take it on, cast their own (six) actors and find their own musicians (we managed with a band of four). If any theatre producers or directors (Broadway would be fine – Old Buerky’s a hit as far afield as the Hollywood Hills) are in the market to take on “Buerk! The Newsical” and restore it to its rightful place as a sell-out sensation, feel free to drop me a line. We may even throw in some entirely inappropriate jungle gags for you. After all, the show is set in the 80s. In the meantime, support Buerky and let’s see him crowned king of the jungle. Get Tweeting with the hashtag #TeamBuerk. Click to hear the show. This entry was posted in Blog, Buerk! The Newsical and tagged BBC, buerk! the newsical, Emma Barnett, I'm A Celebrity Get Me Out Of Here, michael buerk, Radio 5 Live by GregoryJ. Bookmark the permalink.